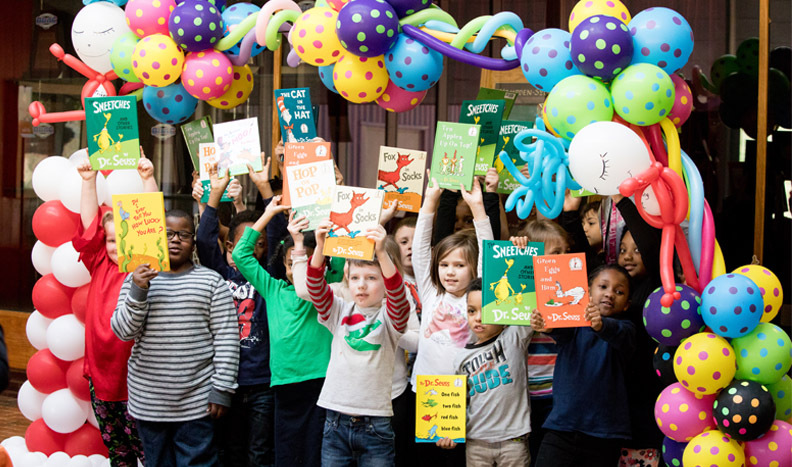 The College hosted local elementary students to celebrate Dr. Seuss and literacy. More than one thousand second grade students from the local community arrived at Hampden-Sydney this week to celebrate Dr. Seuss's birthday—and literacy—at a Birthday Bash. Building on a tradition established almost twenty years ago by Dr. and Mrs. Walter Bortz, President Larry Stimpert and his wife Lesley hosted the enthusiastic group of children in Kirby Field House for the second year. 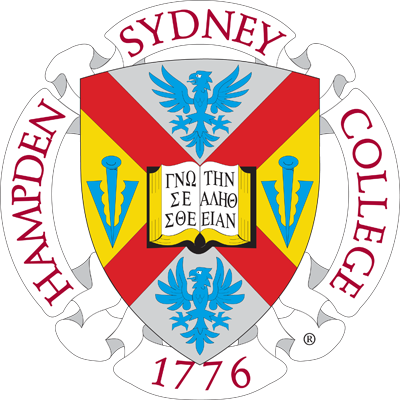 Hampden-Sydney's Literacy Program began in 2000 with the Bortz' desire to "demonstrate in a small way our commitment to reading as well as tighten the bond between the College and the local community." Last year, the Stimpert's expanded that program from Prince Edward to every surrounding county, and this year the event was split into two days to help manage the flow of the large classes. As they entered the Fleet gymnasium, the students expressed their awe at the scene. For many, this was their first time on a college campus. With the support of students, faculty, and staff, the children moved through stations—from bounce houses to Seuss themed gamesthroughout the morning. Mrs. Stimpert noted, "They were able to associate the College with an actual place, and they had fun while doing so." The birthday party was designed to spread the love of reading and get children excited about literacy. Each student chose a book from the ten Dr. Seuss titles offered to take home. The day was a success, as screams of excitement echoed and smiles showed. Proudly displaying their book selection, each class's picture was taken before they packed their things to head back to school. An enriching experience for all those involved, the College looks forward to continuing the tradition for years to come. And with the support of the local and College community, the second graders can continue to be enthusiastic about reading.